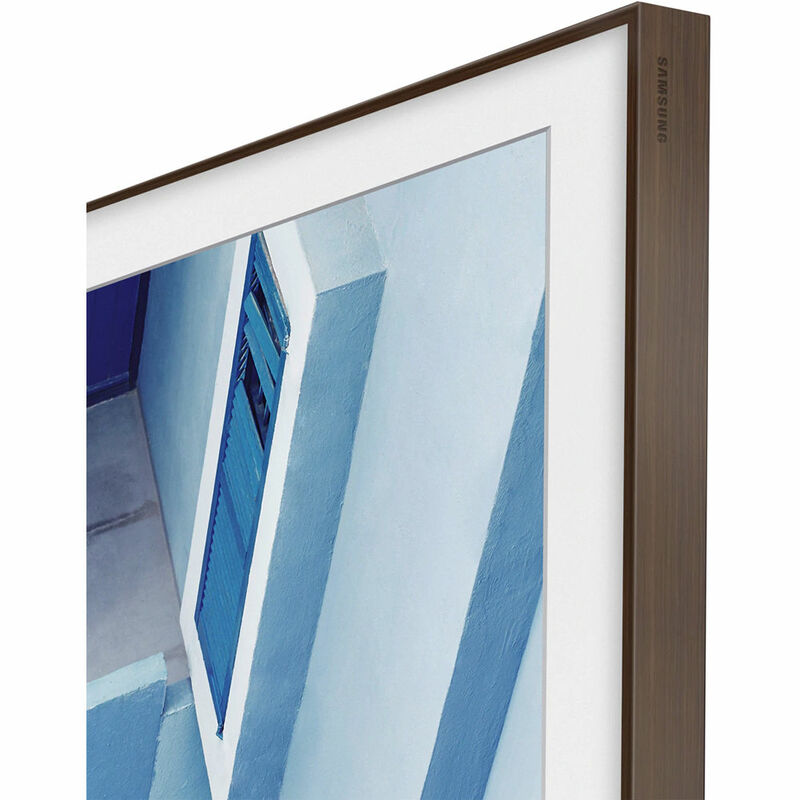 Customize the look of your Samsung 65" The Frame TV with this brown Samsung Customizable Frame. It magnetically snaps onto your TV for a quick and simple installation. The Customizable Frame can fit into nearly any home's décor. The Customizable Frame snaps onto The Frame with magnets, helping to make it quick and easy to change the look of The Frame. The Customizable Frame is engineered to fit The Frame seamlessly. Box Dimensions (LxWxH) 60.0 x 4.0 x 3.5"
Customizable Frame for the 65" Frame TV (Brown) is rated 4.9 out of 5 by 8.